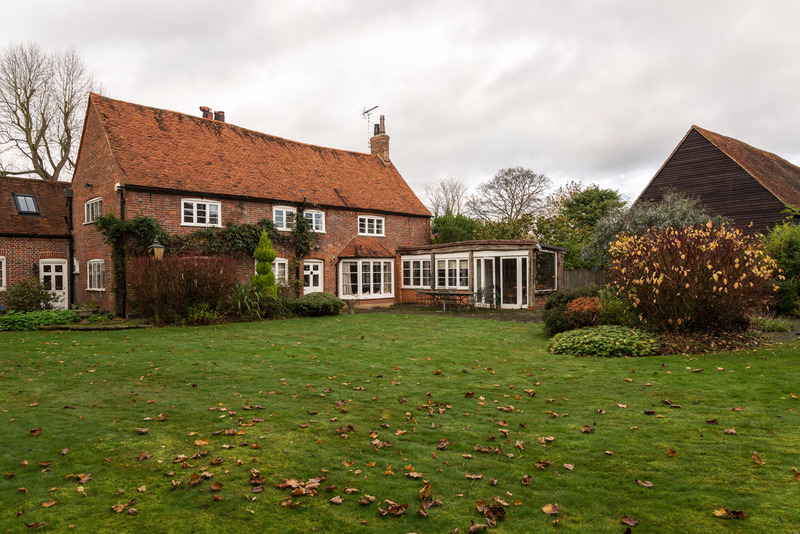 Appletree is a farmhouse just on the edge of the Chilterns Area of Outstanding Natural Beauty. 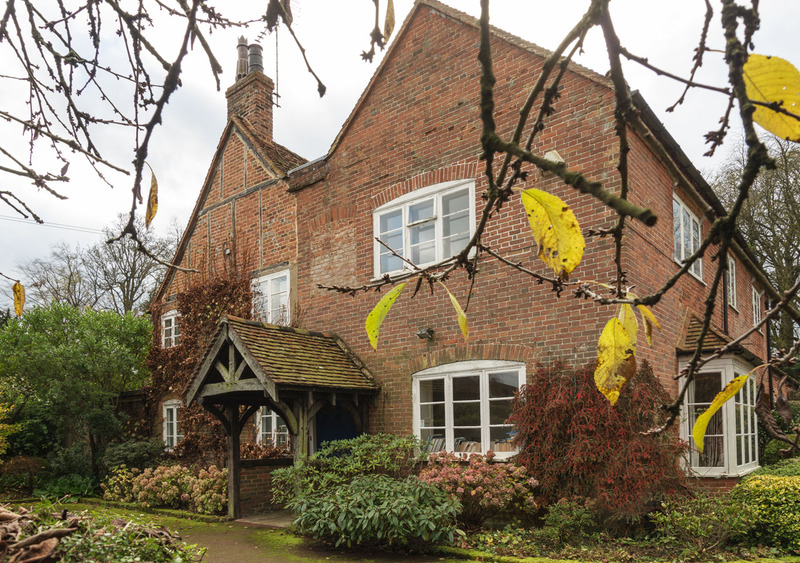 It is listed Grade II and described by Historic England as dating from 18th century. 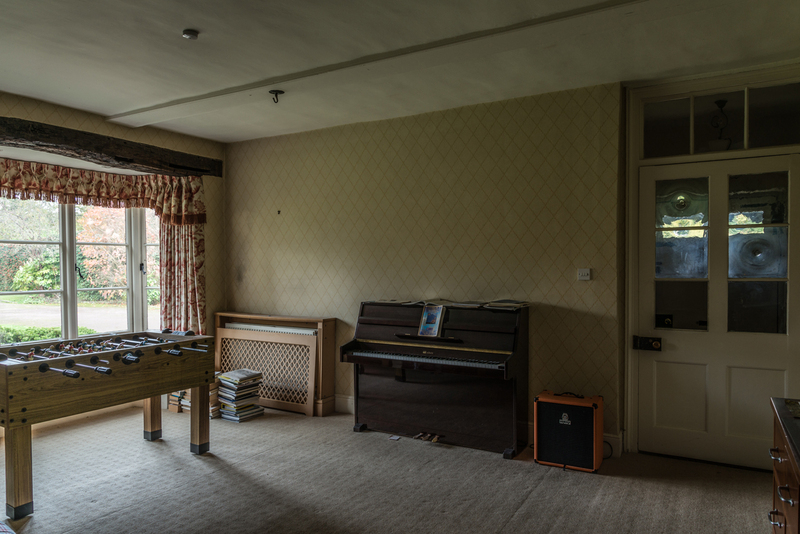 When we first saw the building it was in poor repair, needing alteration and refurbishment. 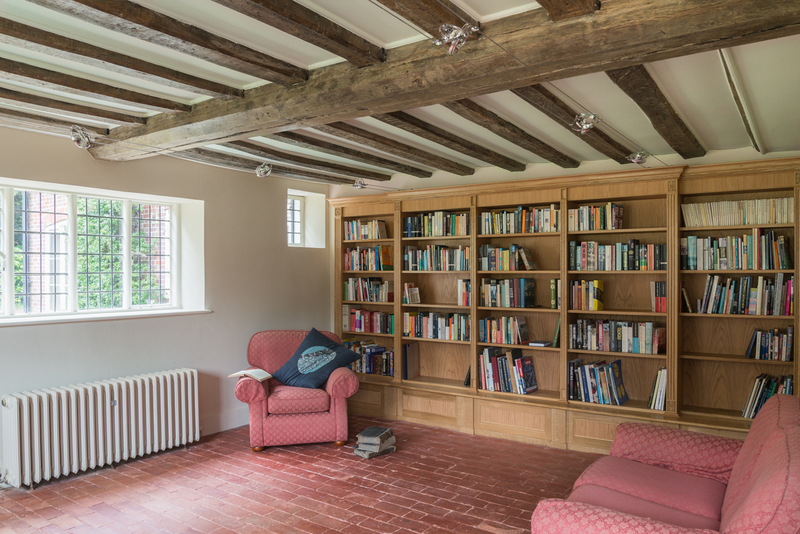 Work included internal alterations, extensive roof repairs, brick repairs and timber-frame repairs. We also designed an extension, as well as conversions of the garages (as yet unbuilt). The project received enthusiastic approavl from the Three Rivers Distric Council. During construction, as modern layers were stripped away, we found many medieval details, for example a window with clear signs of shutter grooves and diamond mullions. 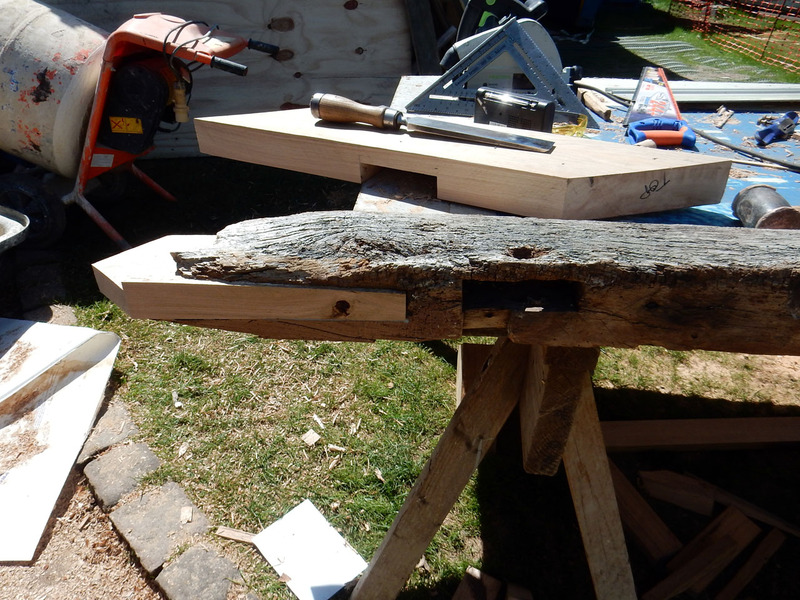 Timber stop bead detailing helped date it back to c1550. 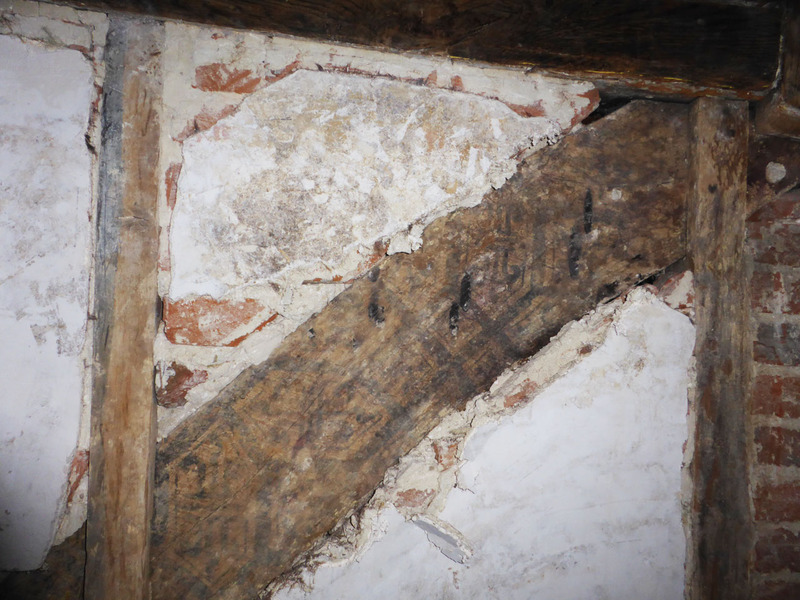 Most importantly, we found two medieval painted timber braces. The decorative scheme is complex octagonal pattern with three recurring motifs, the dominant one – a double fleur-de-lis – is commonly associated with the Virgin Mary. 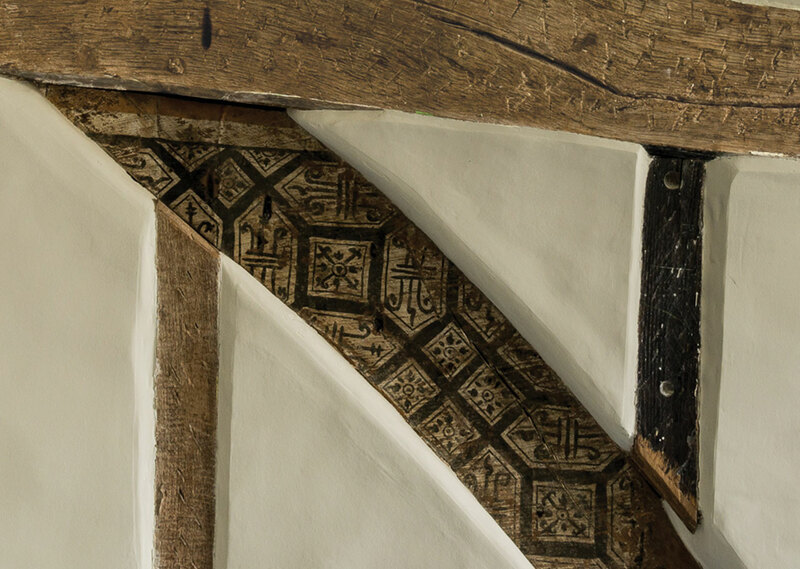 Paint analysis not only confirmed a date between 1500 and 1550 but also that this is the earliest instance of scorch marks/witch marks being painted over by decorative schemes, suggesting that they were not actually meant to be seen. 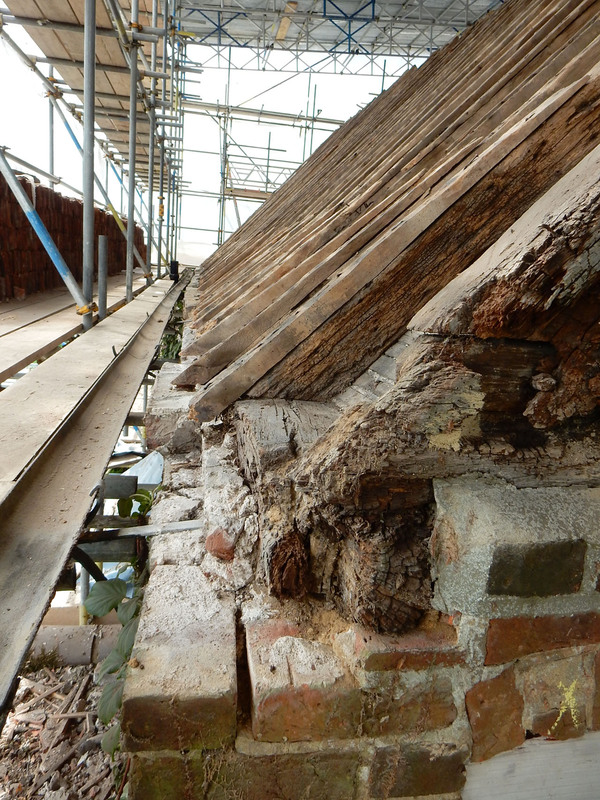 This is a significant discovery, contributing further to understanding of medieval buildings. 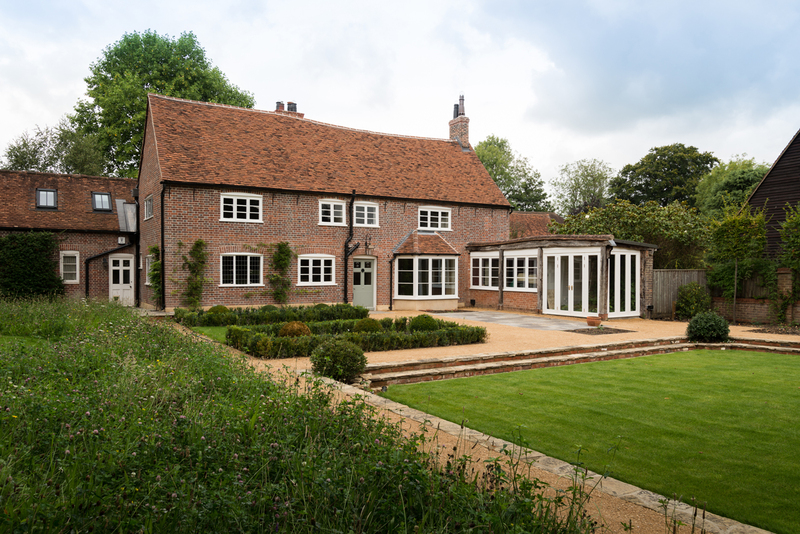 Winner RICS East of England Building Conservation Award 2018. 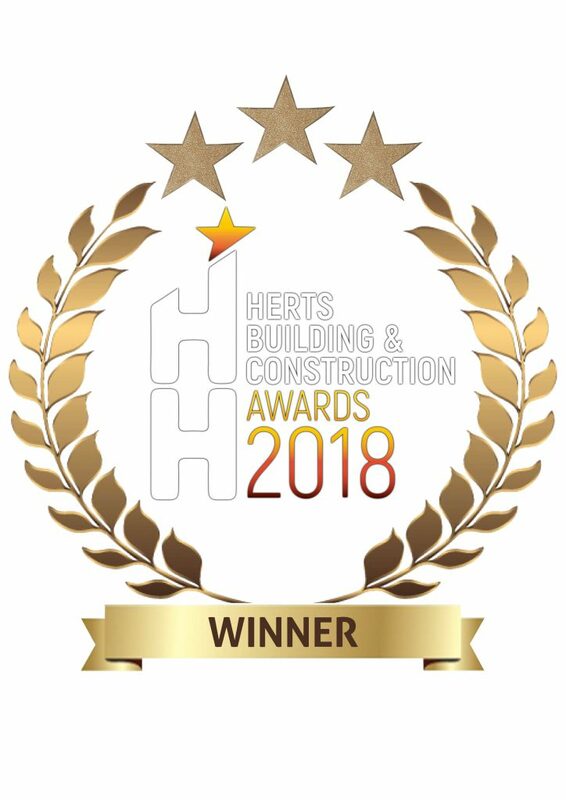 Winner Herts Building and Construction Award Architect of the Year Category 2018. 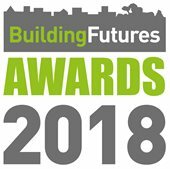 Highly Commended: Hertdfordshire Building Futures Award 2018: Reftrofit for the Future Category. 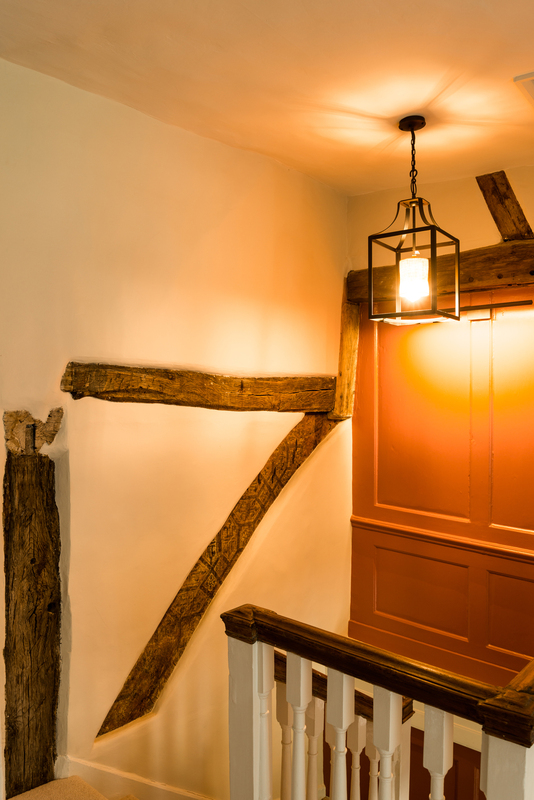 ‘We had spent years thinking about the restoration of Appletree Farmhouse, but it wasn’t until we found Roger, Sarah and the team that we really found the confidence to take the plunge and get the project started. 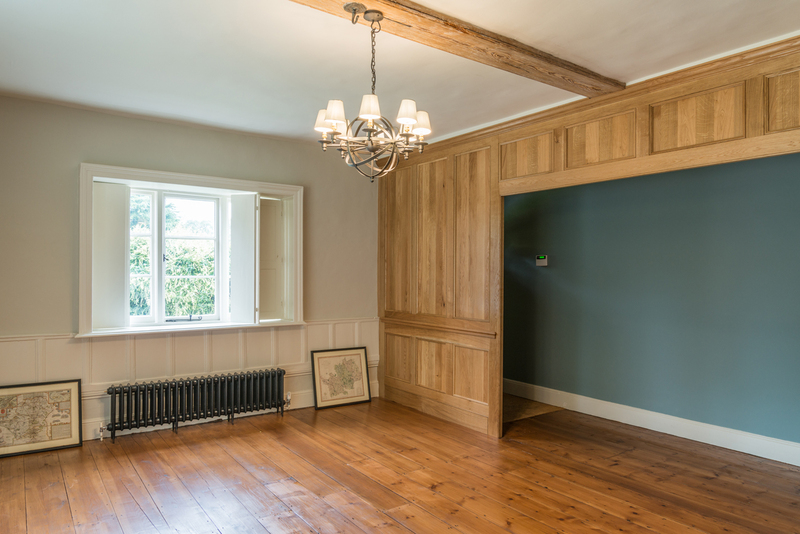 From the beginning, their enthusiasm was a constant reassurance, but it wasn’t until the end of the project that we could fully appreciate the importance of the range of skills that Roger and the team brought to the work. 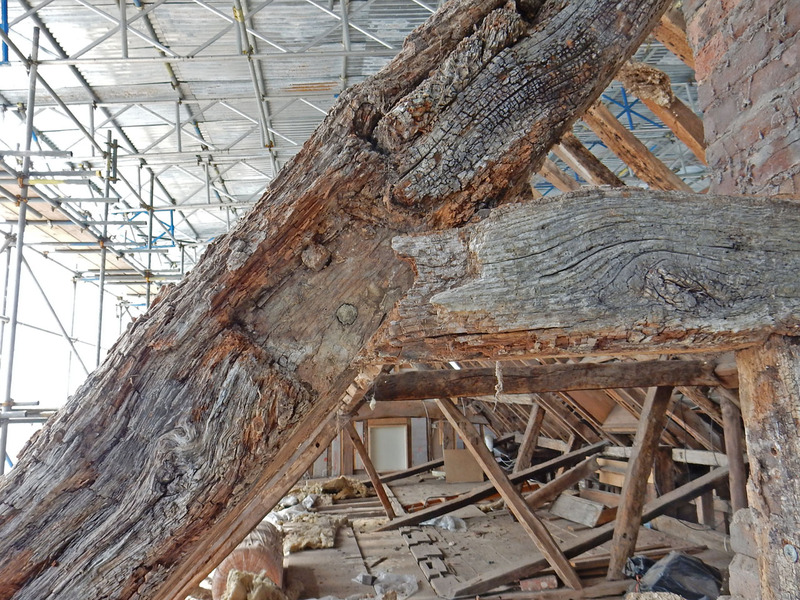 The team had to get to know pretty much every timber in the 16th and 18th century roof structures (the latter reused from an earlier mediaeval phase); every individual brick repair and piece of hot-lime penny-struck repointing; every individual window repair; in order to ensure that the repairs would be done to the highest standard. We knew from the beginning that this level of detail would be required. 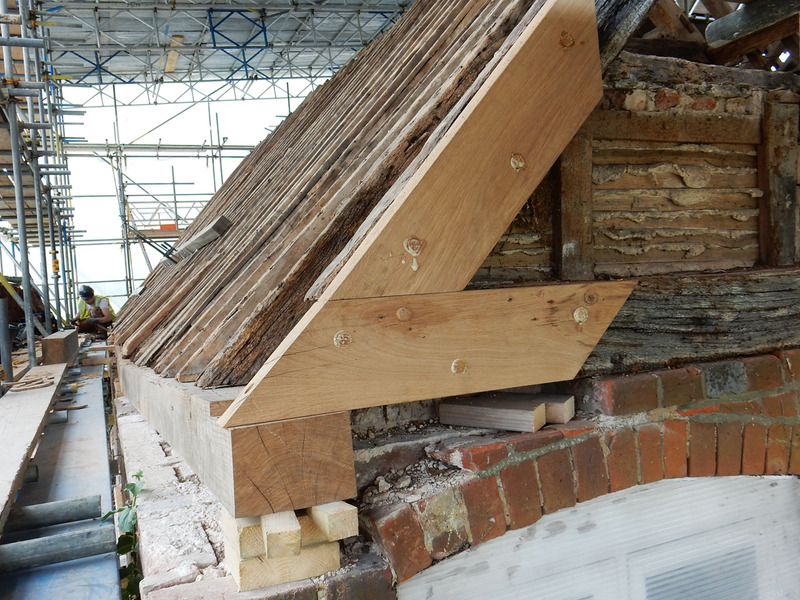 But what to do when we decided we wanted to restore the original brickwork uncovered in the cellar? How do we design appropriate wine shelving for that setting? 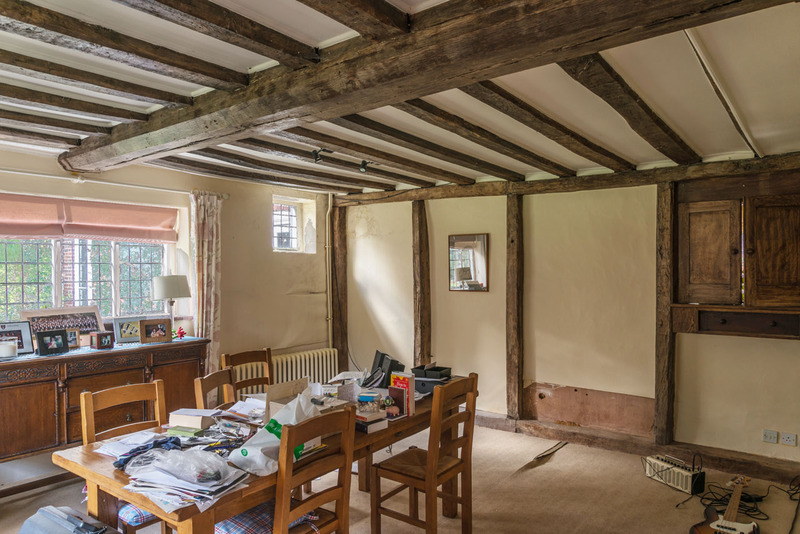 What do we do about original 16th century (or earlier) lath and daub panels that were uncovered? 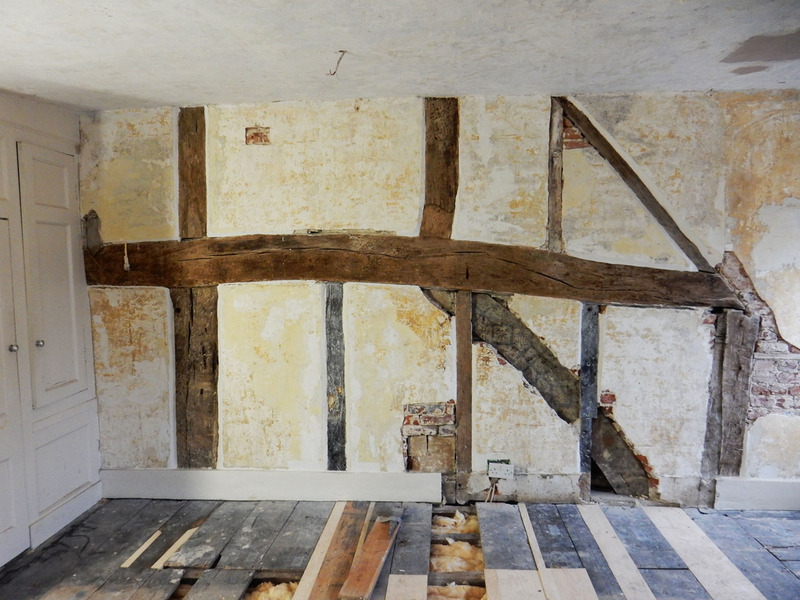 Or original 17th century oak panelling uncovered between masonry and plaster in the living room? 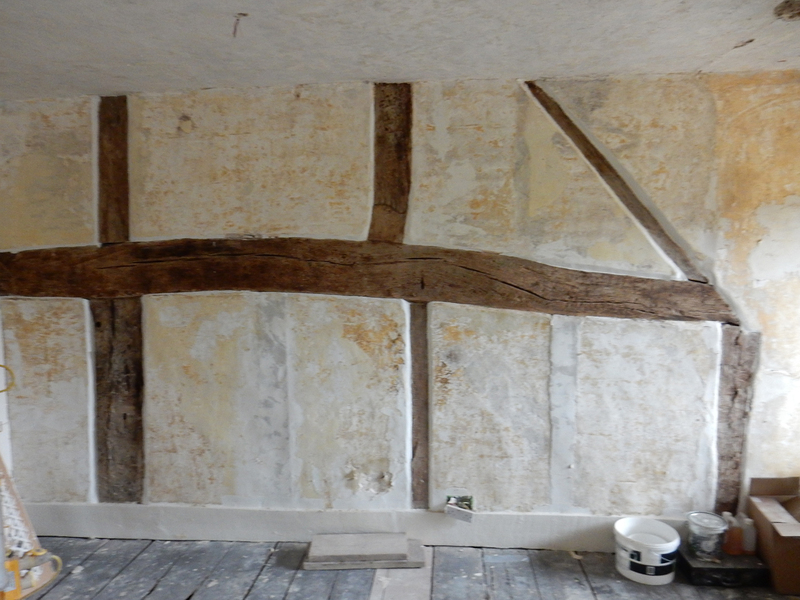 Or a 16th century wall painting which was uncovered behind masonry in a bedroom? None of these discoveries could have been predicted in advance. 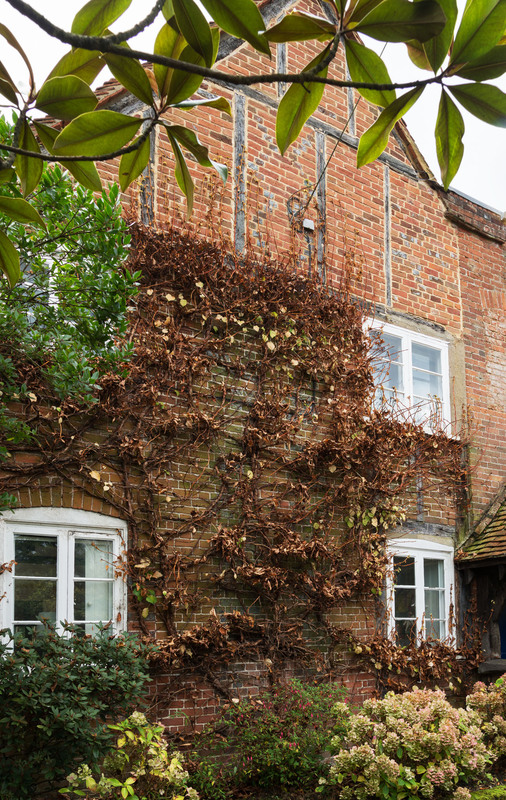 It was the breadth and depth of expertise brought by Roger, Sarah and Zaira, working with excellent contractors, that allowed us to uncover the full potential of a house with such a rich and complex history.